Mould growth in your home or business can cause a wide variety of problems. The spores can weaken and damage the structure of your property, causing long-term problems for the security and integrity of the building. Furthermore, certain kinds of spores can make people sick. Black mould, in particular, is known to cause a number of health issues in sensitive individuals and in severe cases, can even be life-threatening. If you’re worried about mould growth on your property in Ontario’s Simcoe County, Muskoka, and Parry Sound area, look no further than R&F construction. We’ve been in the property restoration business for more than 50 years, and we have the manpower, experience, and equipment to get the job done safely and effectively. 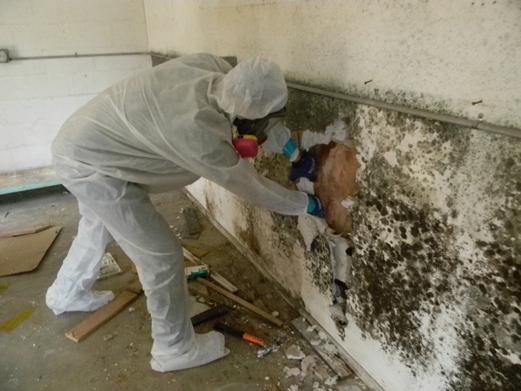 If you’re worried about mould growth on your property, call 1-800-228-7739 today!